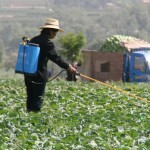 On this episode we discuss organophosphate poisoning including nerve agents and insecticides. Contributors include Matt Zuckerman, Steve Bird, and Adam Darnobid with a shoutout to Jason Hack. Just listened to this talk. Great stuff. More talks like this please. Would there be a role for intralipid given the lipophilicity of the various OP compounds? Someone asked if intralipid would be useful for acute OP poisoning due to the (often) lipophilic nature of the OPs. That’s a good question. Keep in mind that all of the OPs are different, so it is difficult to generalize. However, we looked at intralipid for parathion poisoning and found that the time until apnea was increased with intralipid, but not much else. Published in Acad Emerg Med. 2012 May;19(5):504-9. doi: 10.1111/j.1553-2712.2012.01337.x.